Do the Jets Need a Change to Get to the Playoffs? Three days after sitting in the stands for a crucial nationally televised Monday night game that meant so much for the New York fans, Jets Nation is still in mourning. Geno Smith had a horrific game, throwing two interceptions at pivotal points in the football game. First on the second play from scrimmage, Bears rookie cornerback Kyle Fuller returned a Geno Smith pass for a touchdown. When the Jets desperately needed points down 24-13 in the 3rd quarter, Smith threw another. The Jets have a very hard schedule coming up as they’ll host Detroit, travel to San Diego, host Denver and then face national attention again on Thursday Night Football in Foxborough when they face the Patriots in week seven. With that schedule coming up, Geno Smith simply put, is going to have to elevate his game. Should the Jets fall next week at MetLife stadium against Detroit with yet another bad start from Smith, Head Coach Rex Ryan will be faced with some serious decision regarding his quarterbacks. 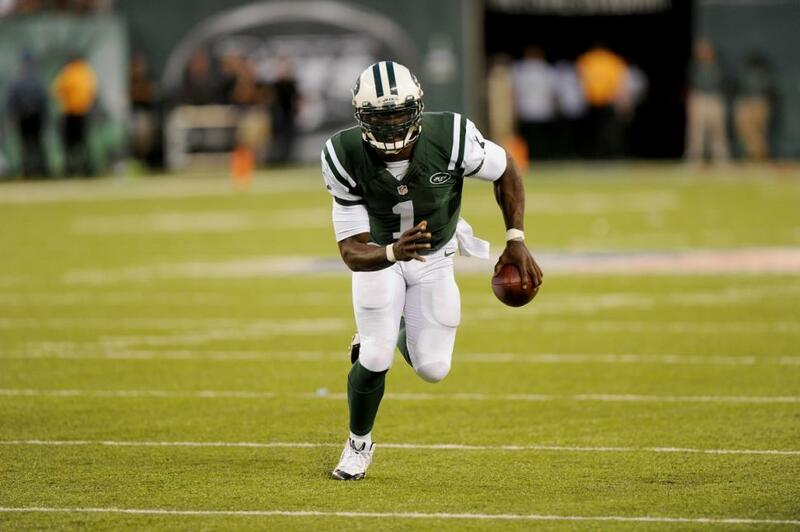 Can Michael Vick lead the Jets to a playoff birth? My opinion is he should get the nod for this season and Geno should watch and learn from the veteran. Michael Vick has been a successful starter in the NFL for a long time, unlike Geno Smith who at this moment in time, doesn’t fully have the rest of the league’s respect. I am going to predict that the Jets fall to the Lions at home next week 26-17 and that we’re going to see a change at quarterback. When the Jets fly out to San Diego in week five, Michael Vick will be the starter. With a 1-3 start to the season, I see the the Jets shocking America and beating San Diego 34-31 in the final minutes in their own building for Michael Vick’s first win as a member of the Jets. Then I think they’ll fall to Denver at home and win in New England week seven. After that, the Jets will be 3-4, and will be ready to push for the playoffs with games against the Bills (Home), Chiefs (@KC), Pittsburgh (Home), Bills (@BUF), Miami (Home, MNF), Minnesota (@ MIN), Titans (@ TENN), Miami (Home) and New England (Home). I can see Michael Vick leading New York to a 6-3 record through that stretch to finish the season at 9-7. This should surely make the playoffs with that record. My gut tells me that if Michael Vick gets his chance to start in a real game for Gang Green, its going to make the biggest difference.